The La Quinta Inn & Suites Sebring has been awarded the 2018 TripAdvisor Certificate of Excellence award, and has earned this award consistently over the last 5 years. 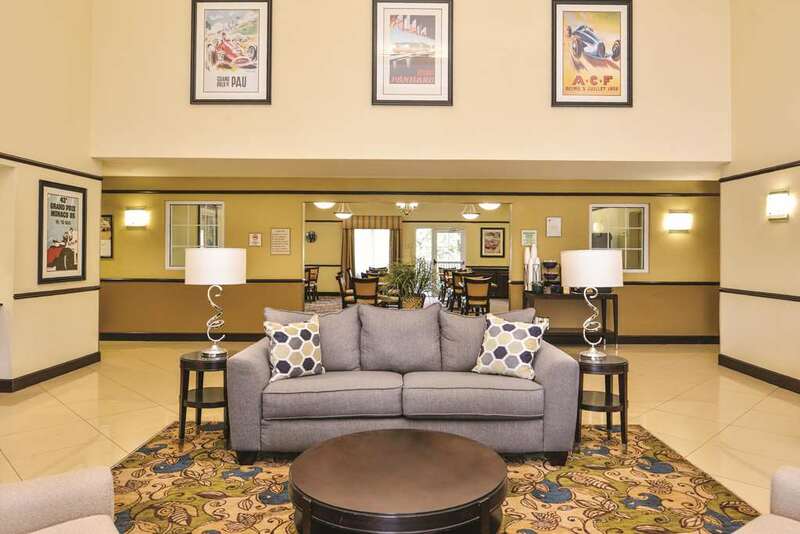 The 100% non-smoking La Quinta Inn & Suites Sebring FL hotel is the closest off-track hotel to the Sebring International Raceway. We're located minutes from downtown Sebring, Lake Placid, and Avon Park. We're also close to Tampa and Orlando, just south of I-4 and Highway 60 directly on US 27 South, and only 1 mile away from Lake Jackson and 8 miles away from the Sebring International Raceway. Savvy, business travelers will appreciate the amenities and services provided at our hotel too! Our hotel is in close proximity to many area businesses, such as Florida Hospital Heartland Division, Lakeshore Mall, and Highlands County Fairgrounds. We know what is important to corporate travelers with free Wi-Fi, fully equipped business center, and our rewarding La Quinta Returns Program, our hotel can be your home office away from your home office. Florida Anglers, golfers, race fans, and outdoor enthusiasts appreciate our close proximity to several other local attractions, including Highlands Hammock State Park, Sebring Regional Airport, Sebring G Karts, Avon Park Mower Plex, Golf Hammock Country Club, and numerous other golf courses. Sebring features numerous annual activities including the Caladium Festival, 12-Hours Sebring, Air Show Fly-In, Highlands Cycle tour, 12 Hours of Sebring BBQ, Balloon Festival, or enjoy baseball tournaments at the Highlands County Sports Complex.. All guest rooms at our Sebring Florida hotel include microwave and refrigerators, large 32" flat-panel televisions, pillow top mattresses, massaging shower heads, and much more. While staying at our tropically landscaped Sebring hotel, you can enjoy our premium amenities, including an outdoor heated swimming pool and spa, 24-hour fitness & business centers, Tesla car charging station, and free Bright Side Breakfast.